What is the fees structure and admission process of MCA in Saroj Education ? the fees structure of MCA in Saroj Education is 65000, and the admission procedure is that For Admissions to MCA course, the minimum qualification required is bachelor degree in any discipline with minimum 50% (45% for SC/ST) from govt. approved university/Institute. What is the Eligiblity and admission process of BCA in Saroj Education ? the Eligibility is that the Applicants must be a 12th passed from a recognized board. Selection is on the basis of marks obtained in 12th class.and admission process of BCA is that For Admissions to BCA course, the minimum qualification required is minimum 45% (33% for SC/ST) and the candidate must have studied 10+2 level of examination of any recognized board. What are the exams required and admission process of MBA in Saroj Education ? what is the Eligiblity and fees structure of M.Pharma in Saroj Education ? firstly the Eligiblity For Admissions to B Pharma, the candidate must have clearly passed without grace, intermediate examination of U. P. Board or 10+2 level examination or its equivalent from any govt. approved board / University; securing minimum 50% marks (45% marks for SC/ST Category candidates) without grace in required subject combination of two compulsory subjects and one optional subject taken together. and the fees structure is 106000 per year. 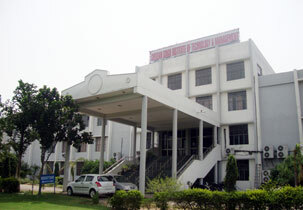 what is the Eligiblity of B.Tech in Saroj Education ? The Eligibility criteria is that the Applicants must be a intermediate examination of U. P. Board or 10+2 level examination or its equivalent from any govt. approved board / University with minimum 50% marks (45% marks for SC/ST Category candidates) without grace in required subject combination of two compulsory subjects and one optional subject taken together.